My role: Art Direction, 3D modeling, physical prototyping. Musicians from Joey Ramon to Wiz Khalifa have all worn Converse - it is a piece of the American rock star wardrobe. 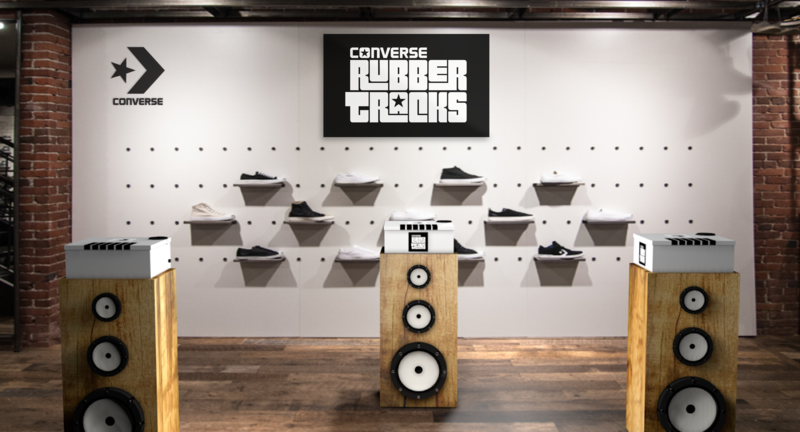 Tasked with finding a way to bring more of the Converse brand (namely their Rubber Tracks music program) into retail spaces, I redesigned and 3d modeled a Converse store that centers around music. 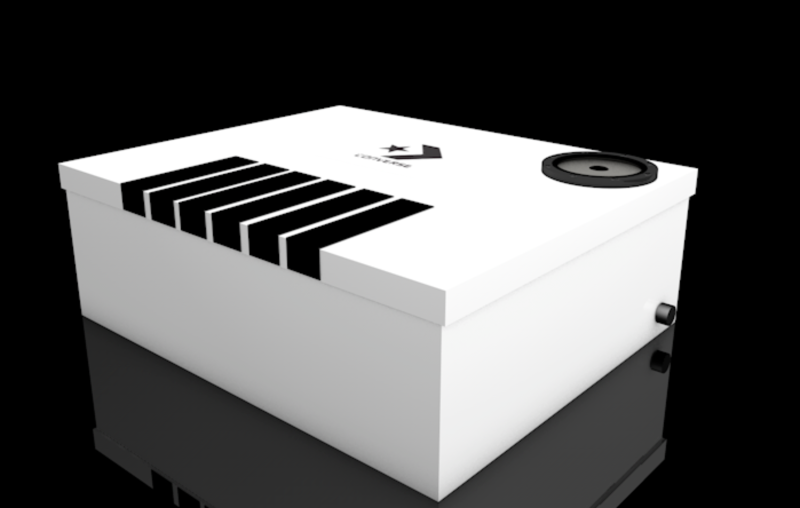 The Drum Machine Shoebox is an interactive digital instrument that is built into a standard Converse box. With conductive paint sensors, shoppers can create a song that sources it's samples from the Rubber Tracks music library.